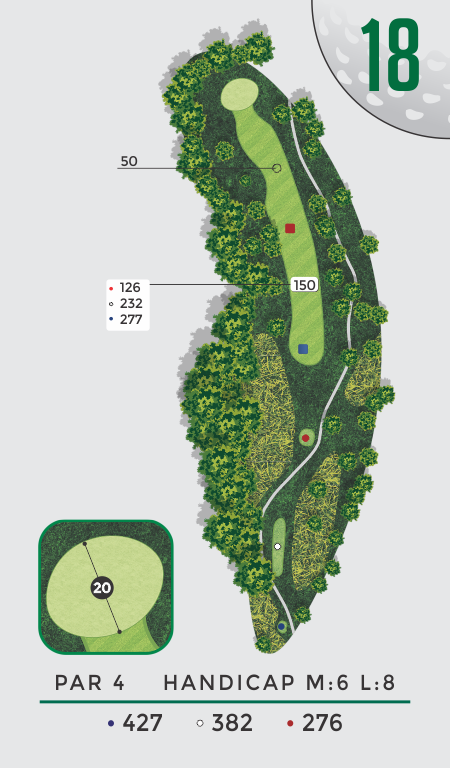 This lengthy par 4 will play longer than 382 yards because of the uphill landing area and prevailing wind from the south. Favor the right side off the tee, which allows for an easier approach shot into the wide, but narrow green. Putts here generally break more than they read.